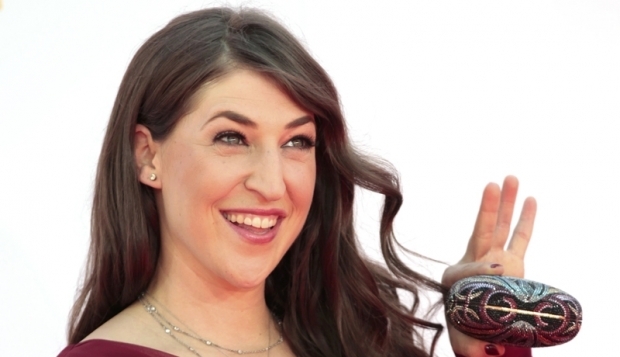 Our favorite actress Mayim Bialik was robbed of an Emmy last night, though she clearly deserved the recognition. Mayim was nominated as Best Supporting Actress in a Comedy Series category for her portrayal of Amy Farrah Fowler on The Big Bang Theory. A Jewlicious analysis of Neilsen TV Ratings shows that Big Bang is currently the number one sitcom according to Primetime broadcast total viewership. So take that judges. Mayim became a huge fan of Jewlicious when she was the keynote presenter at Jewlicious Festival 8.0 in February of this year. In case you missed it, Mayim was also just profiled on Sunday in the NY Times Fashion Section. Most importantly, Mayim will be honored at our 2012 Night of Unity, Nov. 18th in Los Angeles. The Night of Unity brings together the Jewish community to honor those who exemplify the cause of Jewish unity and to support expanding the participation of young adults in the Jewish community. Mayim we still love you and look forward to honoring you in November.